Notice something missing? It seems they left off the words “Limited Edition” on mine. Perhaps they may be around a bit longer. And you know what? I don’t think I mind one bit. I agree with Lauren that the small 1.5 oz bag was more than enough to satisfy any cravings I might have for the treat, but I certainly enjoyed it while it lasted. 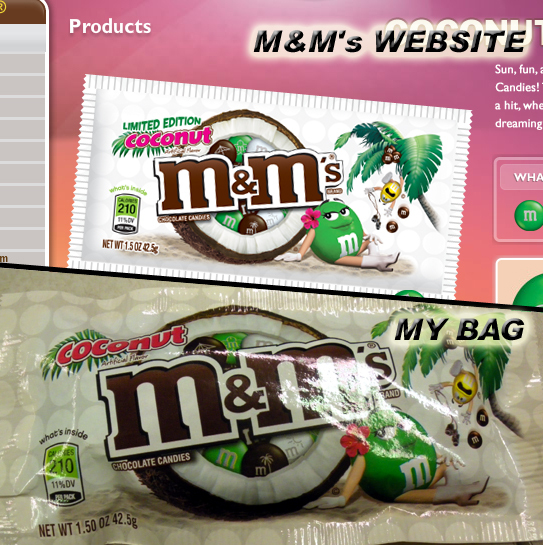 The M&M’s have all the positives of a coconut treat without the negatives. 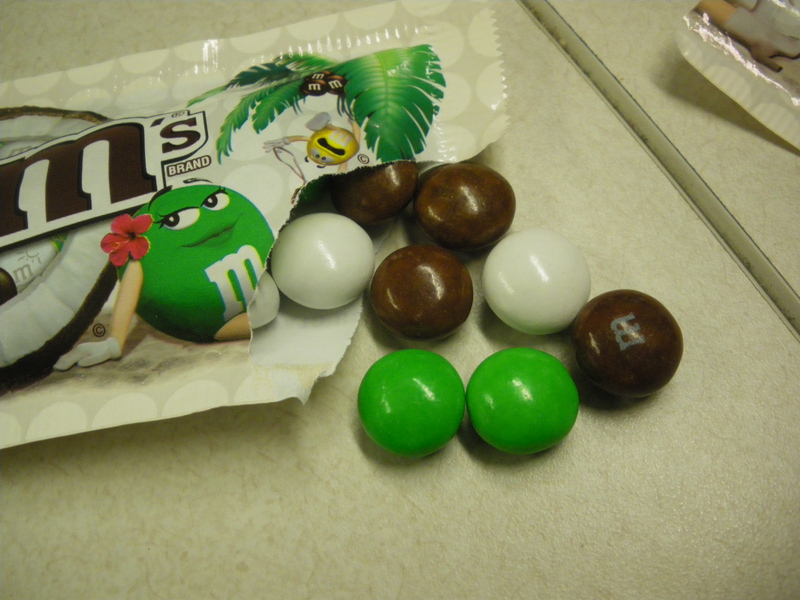 As Lauren pointed out when she first told me about the snacks, I said that the fact that there is no actual coconut in the M&M’s means that you won’t be picking it out of your teeth or chewing on it unexpectedly for the next few hours. 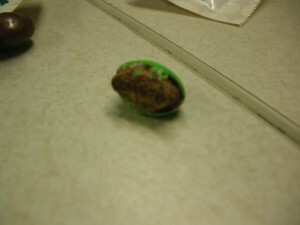 What I think would be really keen would be to do this flavor in the DARK CHOCOLATE variety, which would bring it that much closer to besting the Mounds bar on its own turf by eliminating the aforementioned coconut residue problem. They could even mix the chocolate/coconut flavoring in the Almond M&M’s and take out the major Peter Pan brands altogether. 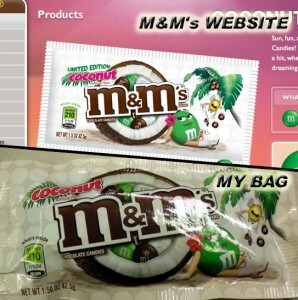 The possibilities are endless, and I do think it’s possible for M&M’s to make the most out of this. They could really take the bite-sized snack foods to the next level here if they handle it right.